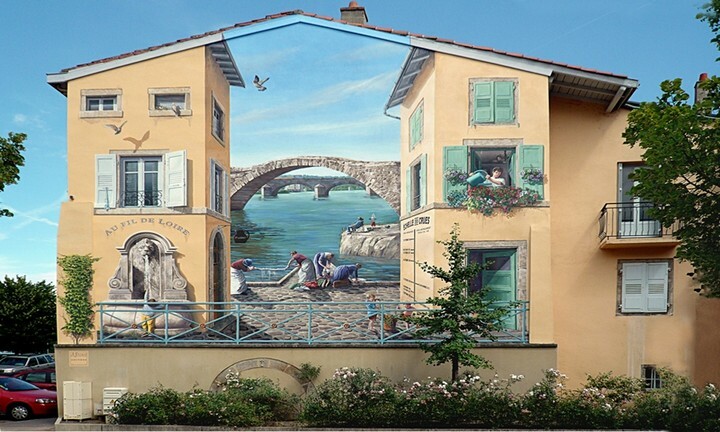 French artist Patrick Commecy and his team of muralists from A.Fresco like to create a totally new perception of reality. 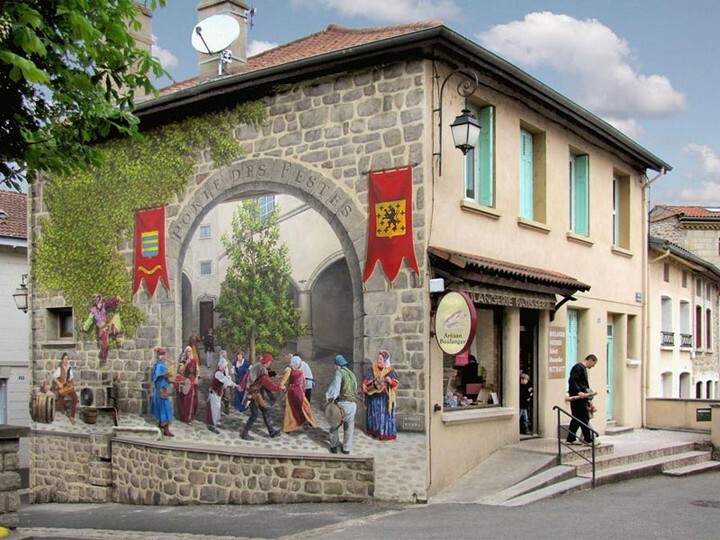 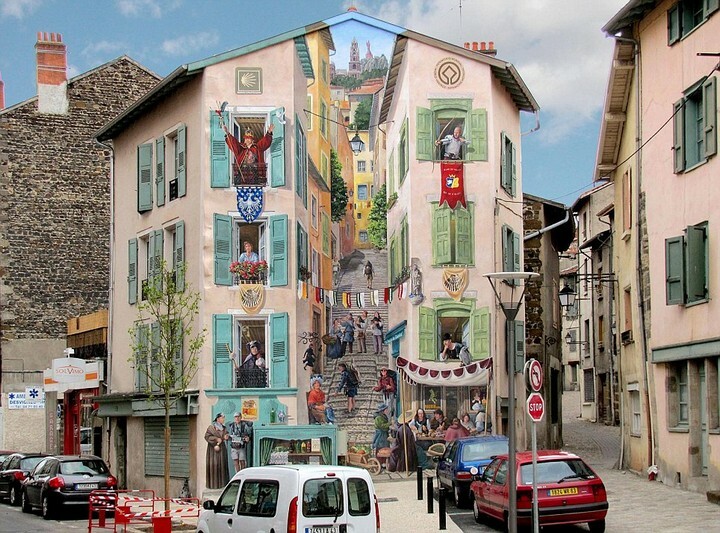 They are transforming cold and faded facades around France into remarkable 3D mural paintings full of life and creativity. 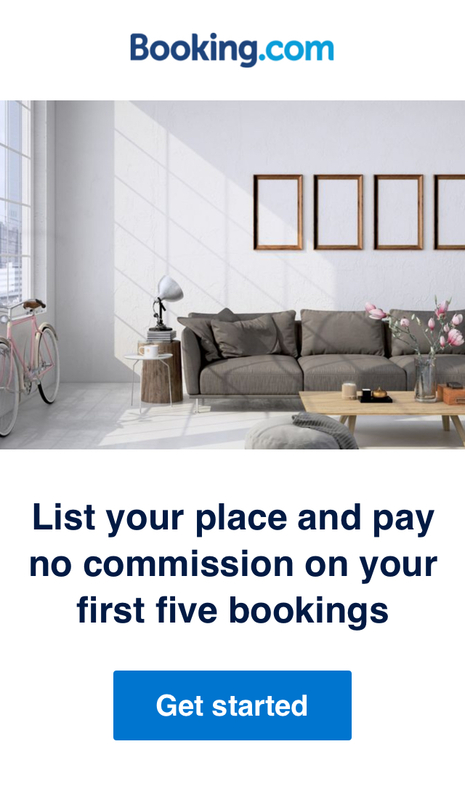 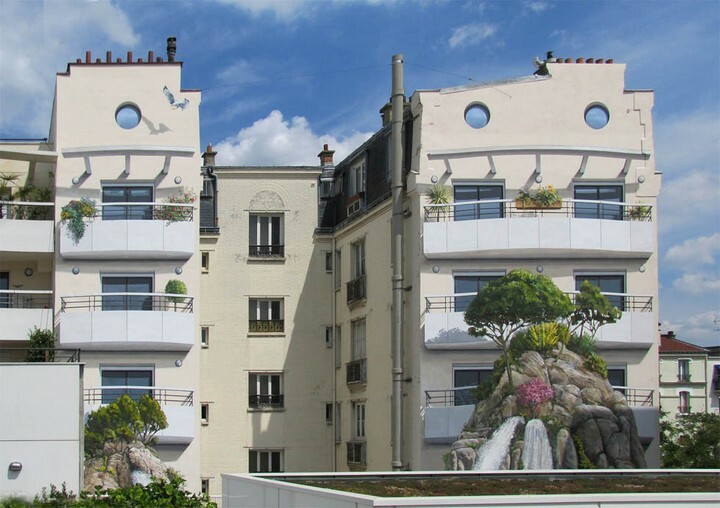 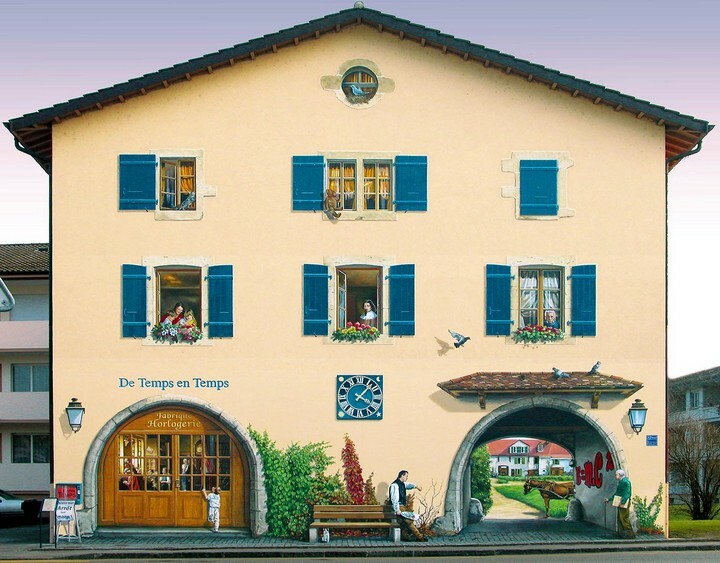 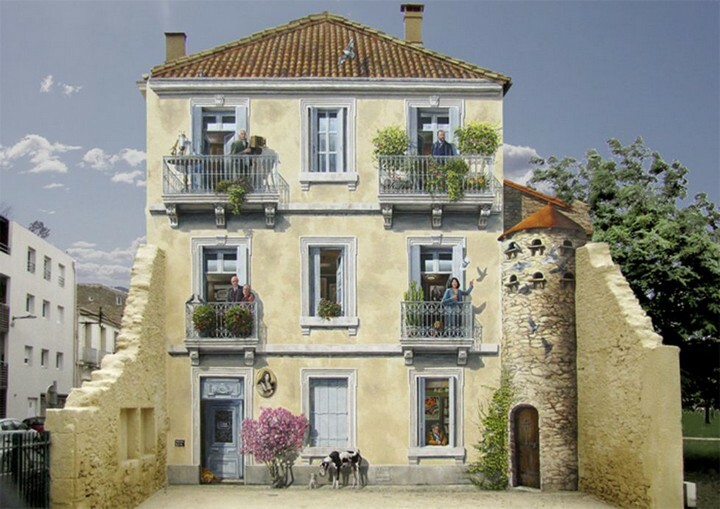 Commecy is using a technique called trompe-l’œil, through which balconies, windows, walls and tiles become scenes of a hyper-realistic dimension, a new world within world. 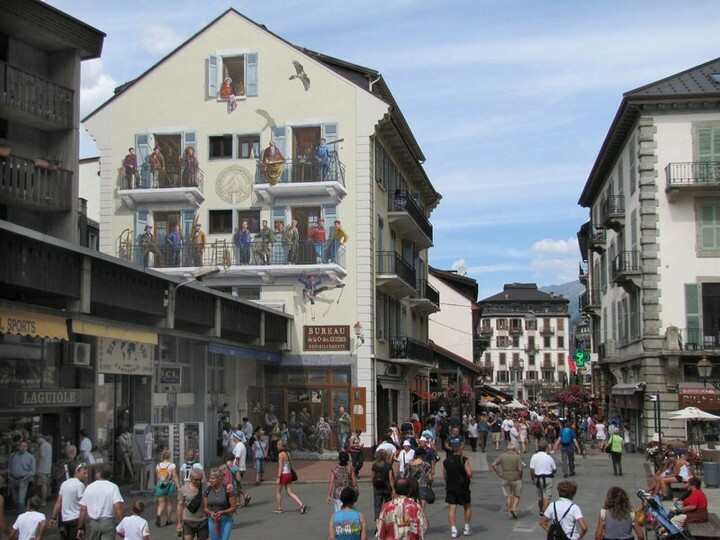 Chamonix, France. 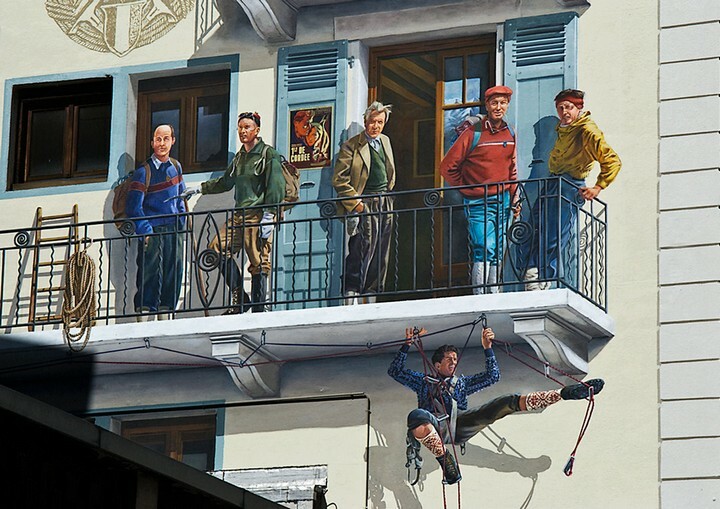 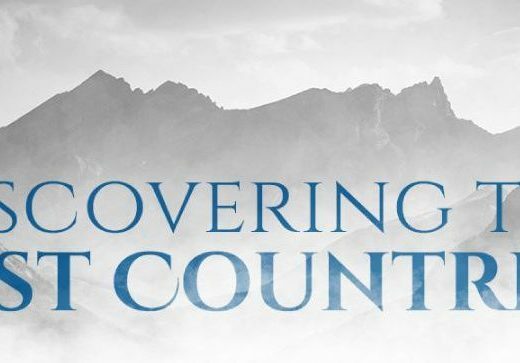 Art work celebrating 20 pioneers of mountaineers who had ascended Mont Blanc. 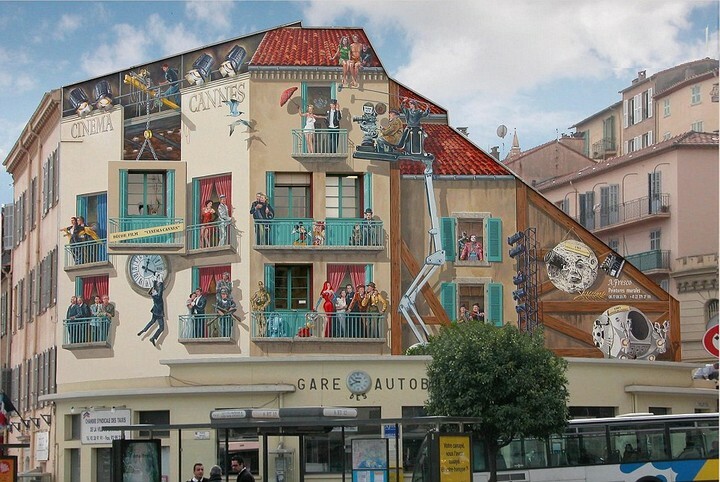 With more than 30 years of street art projects, Commecy has become one of the most renowned artists in Europe, travelling around the continent to revive forgotten places and characters. 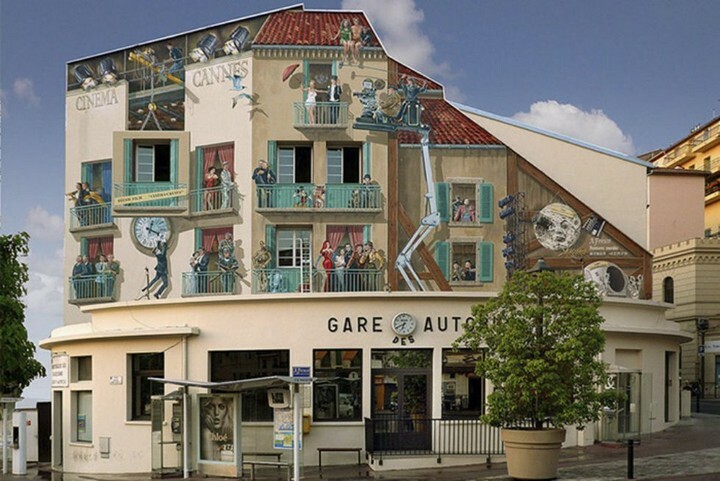 Many of his burlesque, humorist figures resemble famous writers or historical personalities, with literature playing a very important role in his creation.